Our culture often tells us that beauty is only found in the young. But real beauty is deeper than that. When we spend all of our time trying to look younger instead of embracing who we are right now, we miss the mark. In my work as an esthetician, I’ve found that beauty is attainable at any age. As we grow older, we learn to let our inner beauty shine through by using a consistent, disciplined approach to self-care. The real key to beauty at any age lies in embracing your true nature. Make progress toward caring for yourself over time and you’ll experience true beauty, the kind that comes from a confident, healthy state of being. Whether you put in hours at the gym or just spend 20-30 minutes walking outside each day, exercise improves how you look and feel. Regular exercise increases blood flow to all areas of your body, giving you a natural, healthy glow. Regular exercise also keeps your muscles toned and healthy. People who exercise regularly feel better and keep their bodies healthy and strong. The beauty of a strong, healthy body is evident at any age. Many people feel even more beautiful than they did when they were young after they take this first step toward real self-care. Even though we can’t turn back time, we can use it to make small changes that let our real beauty shine through. The way others perceive us has more to do with how we feel about ourselves than our physical attributes. Someone who didn’t take care of themselves as a young adult often looks and feels more beautiful when they start caring for themselves through exercise and other forms of self-care, even if they’re much older now. We rarely think of posture as a beauty tool, but it greatly affects how you look and feel. Good posture communicates confidence and poise in any situation. Traits like confidence, poise, and self-respect shine brighter than the most advanced cosmetics. Recent studies also suggest that posture affects how you feel. Standing straight and tall energizes your entire body and removes pressure from your joints, keeping your body healthy and pain-free as you age. Real beauty is about making the best of your own body, and working on your posture lets you present your best self. Maintaining a good skin care regimen is important. But healthy skin is different from airbrushed advertising campaigns. Real beauty comes from knowing who we are and letting our true nature show itself to the world. Feeling comfortable in your own skin is far more important than having the right products. Insecurity is visible even in those with smooth, youthful skin. Fortunately, confidence and ease are the traits that others notice first, regardless of your skin’s age or condition. As you age, skincare should focus less on covering imperfections and put more effort into truly demonstrating care for your skin. Replace harsh treatments and artificial ingredients with natural, organic moisturizer and quality sunscreen. Hiding behind a mask doesn’t make you beautiful. Care for yourself and let your inner beauty shine through. Taking a little time to put yourself and your health first makes a huge difference in how you look and feel. Stress ages even the young, but aging gives us the opportunity to let go of stress and embrace who we really are. True acceptance of oneself creates grace and beauty at any age. 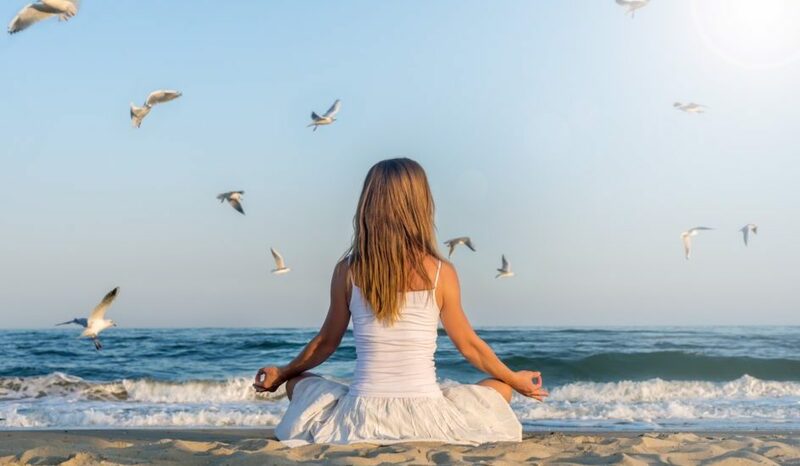 If you experience stress, yoga, meditation, or stress management practices can improve the connection between your mind and body. With the right focus, these strategies can also make you more comfortable with yourself. Nothing is more beautiful than someone who is truly comfortable with who they are. Let the world see your inner light and confidence, and you’ll always look stunning, regardless of your age.